A beautifully presented four bedroom detached family house. 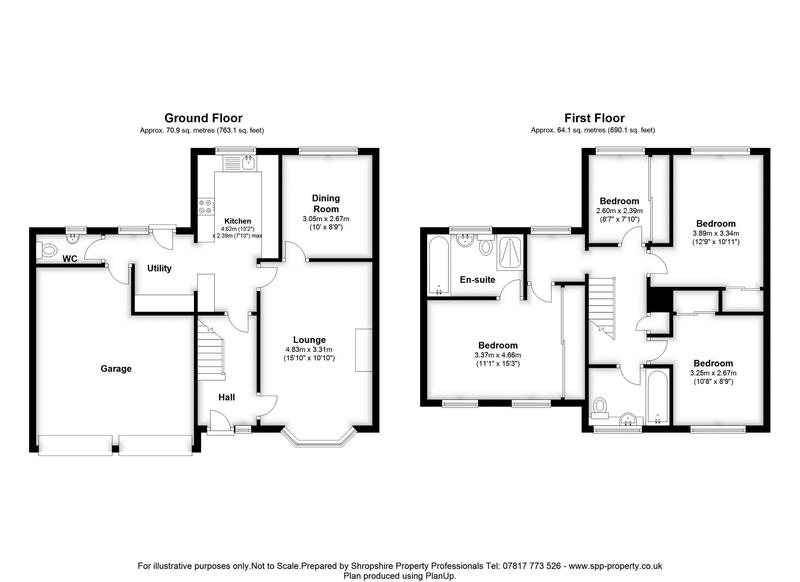 Briefly comprising of through hallway, lounge, fitted kitchen, dining room, WC/Cloaks, four bedrooms (master with en-suite, family bathroom, large rear garden, double width driveway and integral double garage. HALLWAY: Through hallway with fitted wooden flooring and gas central heating. KITCHEN: Beautiful kitchen with modern fitted base and wall units with integrated Neff double oven/hob, tiled flooring. BEDROOM ONE: Master bedroom with fitted carpets, wardrobes and en-suite shower/bathroom. BEDROOM TWO: A good size double bedroom with fitted carpets and wardrobes. BEDROOM FOUR: A good size bedroom with fitted carpets, wardrobes and blinds. OUTSIDE: A large tree lined garden to the rear with two lawns and a patio area with side gated access leading to the front with lawn and double width driveway.